Right on airport and staff and services just excellent. Regrettably prices more than doubled for the week/event I went for, but that’s the market ! Still I was very happy. Room design and furnishings were modern and sleek. 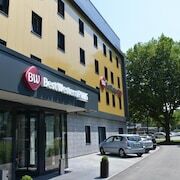 Where to find Teufen hotels near an airport? 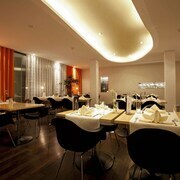 Where can I find hotels in Teufen that are near tourist attractions? Teufen offers travelers and vacationers an extensive selection of first-rate hotel options to choose from. If you are after a great place to stay within a 0.1-kilometre (0.06-mile) distance of central Teufen, Expedia's comprehensive database lists 22 places to stay that meet that criteria. Even though Teufen can't lay claim to having an extensive array of lodgings near the downtown area, Linde is central enough to satisfy most visitors. 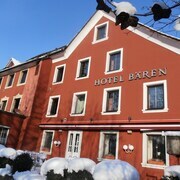 The Parkhotel Sonnenhof is 30 kilometres (18 miles) away from the heart of Teufen. 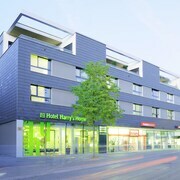 Another option is the Residence Hotel, which is situated 30 kilometres (19 miles) away. 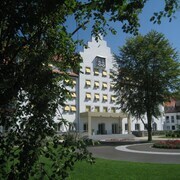 Other accommodation options are the Hotel Säntispark and the Romantik Hotel Santis. Wildhaus is 20 kilometres (13 miles) to the south of Teufen and is home to the Wildhaus-Gampluet Cable Car and Toggenburg Sound East Trailhead. Should you wish to spend a night or two in Wildhaus, check out the room rates at the Hirschen Swiss Quality Hotel and Saentis. 45 kilometres (27 miles) to the south of Teufen, you can also stay at Vilters-Wangs, home to the Hotel Post and Berghotel Alpina. If you're staying in Vilters-Wangs, set aside some time to check out the Pizol Wangs Cable Car and Seilbahn Pizol Wangs. If watching sport is what you love, head to AFG Arena, which is 6 kilometres (4 miles) to the west of Teufen. 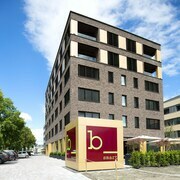 For tourists who are interested in booking a bed nearby, make a reservation in the Sporting Hotel or Landgasthof Säntisblick. 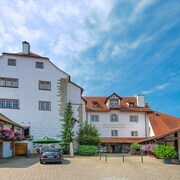 If you are traveling into or out of St. Gallen - Altenrhein Airport and plan to stay nearby try Hotel Heiden Swiss Quality or Best Western Hotel Rebstock. 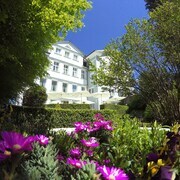 What are the most popular Teufen hotels? Are there hotels in other cities near Teufen? 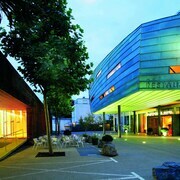 What other types of accommodations are available in Teufen? Explore Teufen with Expedia.ca’s Travel Guides to find the best flights, cars, holiday packages and more!